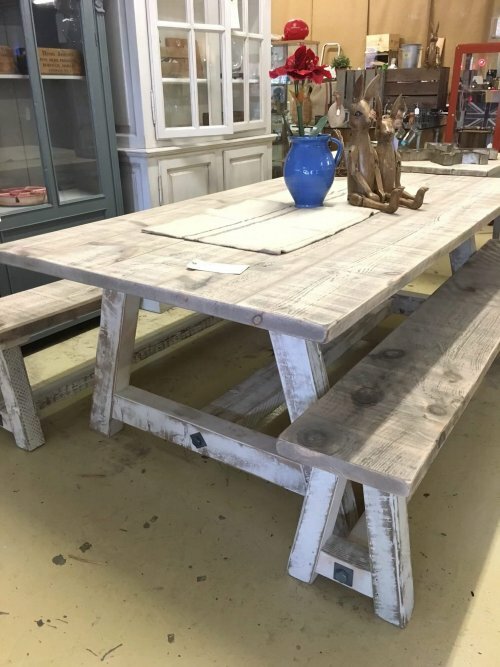 Home » Furniture » Seating » Benches » Table: Vintage Farmhouse style dining tables. 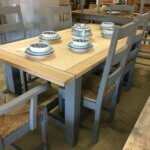 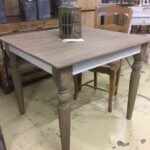 Farmhouse vintage style painted base dining table. 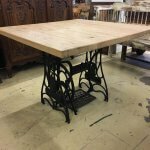 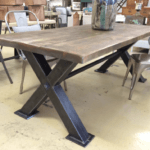 Vintage “A” frame dining table from reclaimed timbers, distressed painted base. 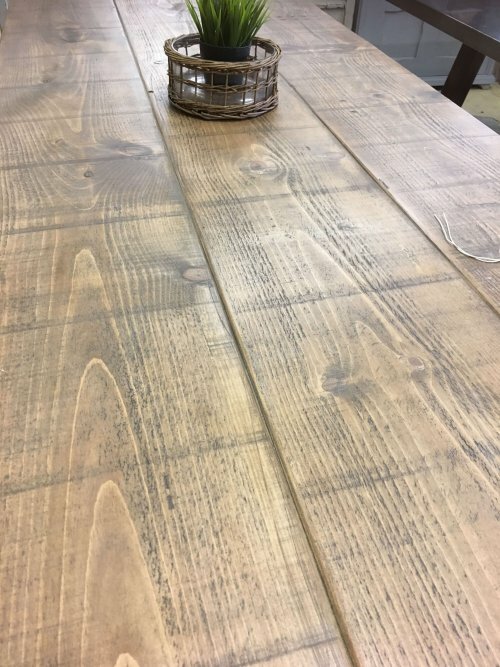 The tops come with a choice of left stripped or stained/waxed to order. 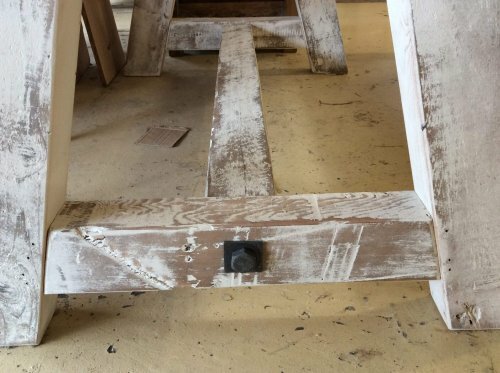 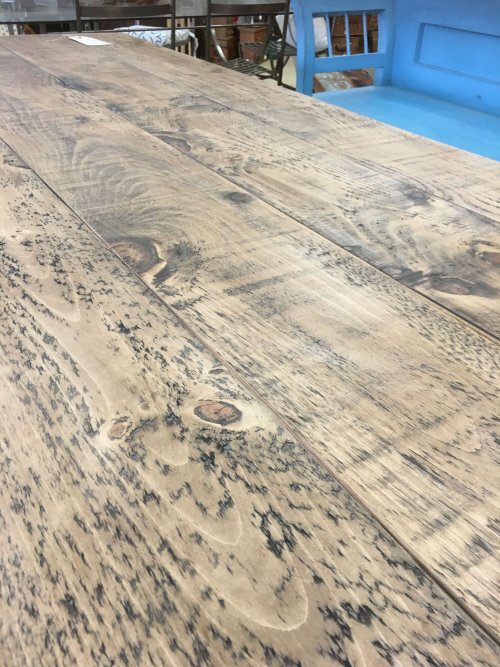 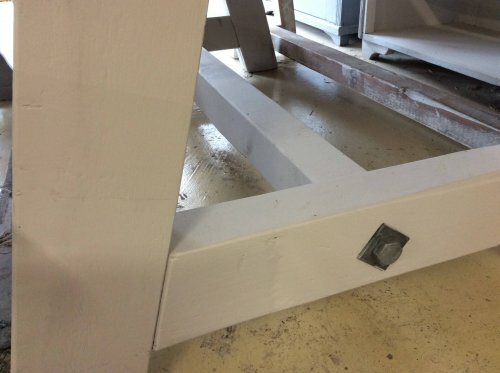 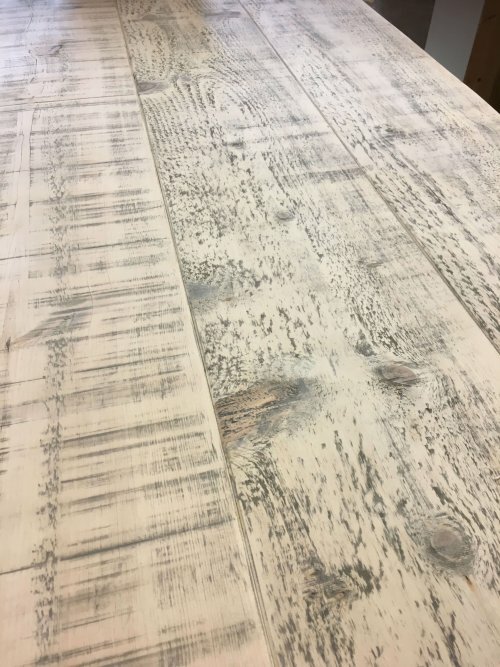 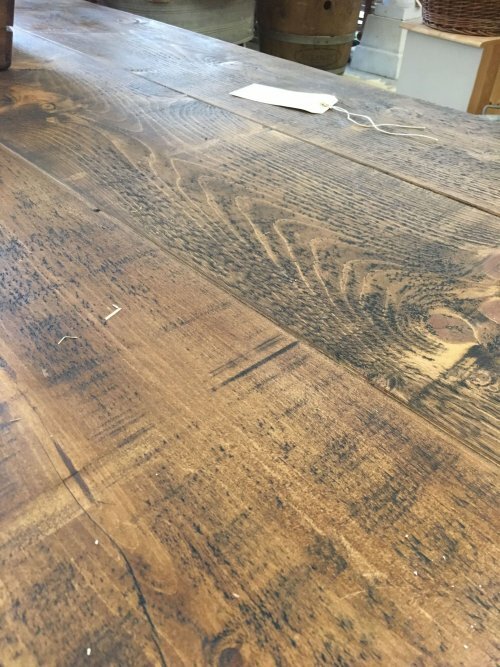 The main picture shows a base that has been sanded back for a rustic farmhouse look. 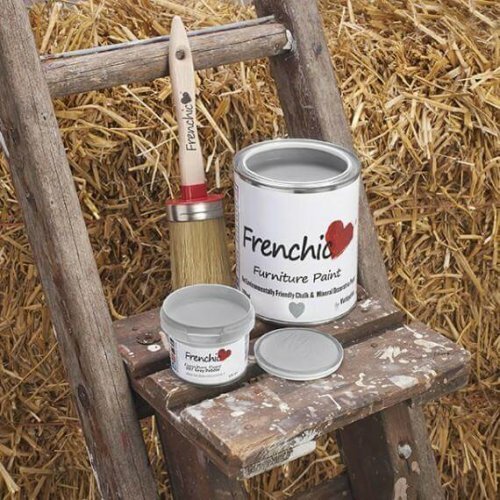 We can paint these a solid colour, see gallery picture of one done in Frenchic Grey Pebble. 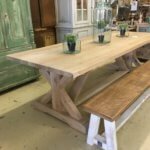 Benches to match, perfect party dining table, that will also look great all year round!